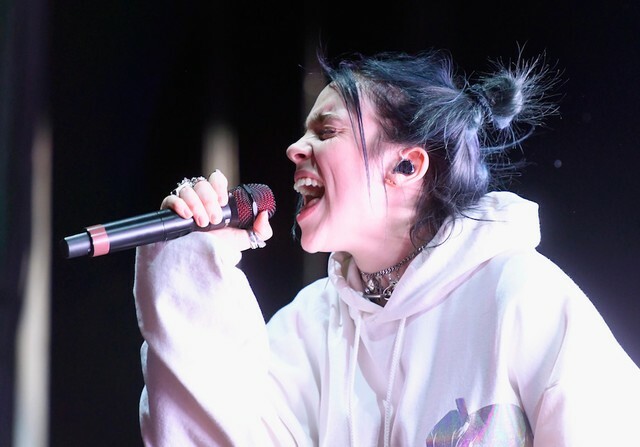 Pitchfork has a new story about Billie Eilish, which focuses on the 17-year-old goth-pop rising star’s fans in the ASMR community. ASMR—that’s short for autonomous sensory meridian response, if you don’t know—refers to the pleasantly tingly feeling some people get when they’re exposed to certain soft, scratchy, tactile sounds like whispering and crinkling paper, and also to a hugely popular genre of YouTube videos designed to elicit this sort of response in their viewers. Eilish’s music, which features breathy lead vocals and all manner of tickly headphone-friendly percussive sounds and effects in its electronic production, is apparently catnip for ASMR enthusiasts. The Pitchfork piece cites multiple listeners and critics who have made the connection, as well as a proliferation of Eilish-centric ASMR videos on YouTube since the March 29 release of her debut album When We All Fall Asleep, Where Do We Go. This isn’t to say that the ASMR-related enthusiasm for Eilish’s music isn’t a grassroots internet phenomenon: there are plenty of other videos out there, including the one Gibi says turned her on to Eilish’s music, before Polydor ever contacted her. Still, it’s a fascinating look behind the curtain at major label music marketing in 2019, with the ongoing erosion of old-fashioned media channels, and traditional advertising increasingly irrelevant to the internet-savvy young audiences that labels are trying to court. It makes sense that Eilish’s music in particular, which topped the Billboard albums chart based largely on streaming numbers and without a major radio hit, would be pushed out to web subcultures in this way. One figures she won’t be the last. Stream Billie Eilish’s New Album When We All Fall Asleep, Where Do We Go?